Countries are waking up and they want to do what’s best for the world instead of what’s best for their pockets and power. Please note that “nwo” is not capitalized, as most articles do, since, in my view, they are “on the outs”, and do not rate any capitalizations. Three articles are summarized here, the first from Lada Ray, the next two from VT’s Jim Dean and Jonas Alexis. Title and link with a few highlights from each. “BREAKING NEWS! Iraq announced that it has opened free passage through its airspace for strategic Russian bombers flying to bomb Daesh terrorists in Syria. I’ve just heard this and decided to share a few of my initial thoughts. Just a day prior, Iran announced that it now hosts Russian troops at Hamadan Base. This is a blog from a garden intern here at Songaia. 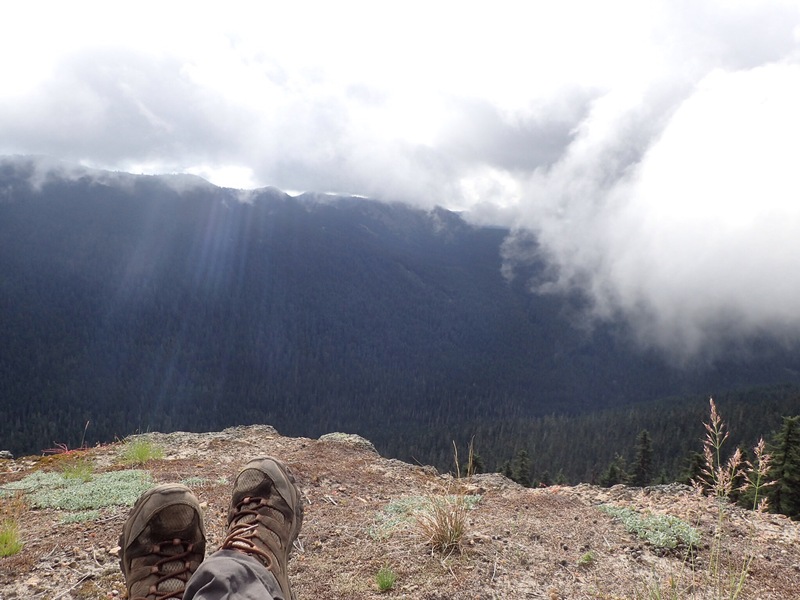 I love the way she describes her adventures in the Washington State Wild lands! In Joy! The sun rises as the valley creeks and groans to life. On this morning the light stays hidden as the fog from the night remains. The fog folds and flows caressing the breeze like a serpent slipping through sand. The fog has returned to the mountain once more, just like when the first breeze blew. To a dance so often hidden. 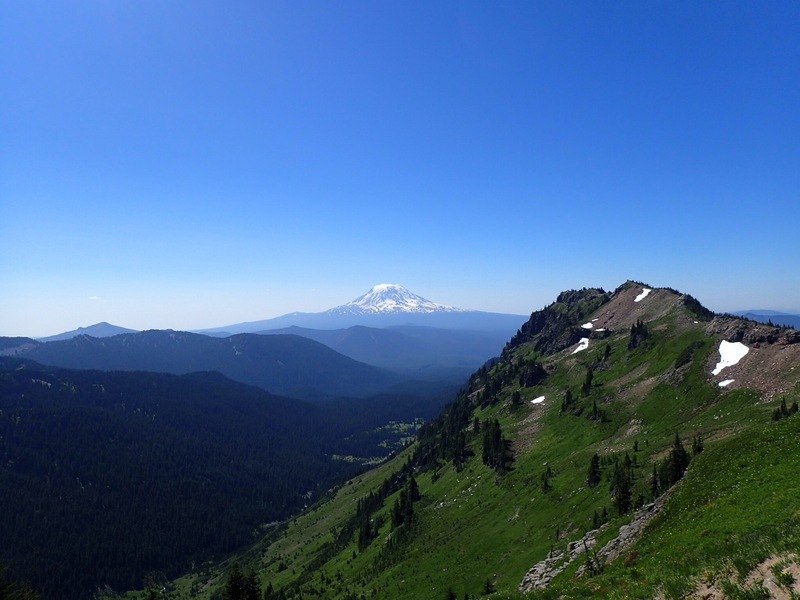 The mountain she holds no protest against the fog forever rolling in. The fog tells his silent story through shapes and swirls to the ever patient mountain below. She holds his secrets of time allowing them to line her face. There is a peace, a trusting between the two. Because the fog will forever roll over and over and over again. And the mountain will always remain. I am really looking forward to reading this. It will be released on August 30, 2016. If you are interested in purchasing the book or the audio version, click the linked words for the Amazon link for the version you are interested in. In joy! Which Timeline Do We Want? A very long, very informative, very comprehensive post from Stillness in the Storm. I suggest reading it all. Due to it’s length, I have posted a portion of the article here. To read the entire article, please follow the links to the full blog post. In Joy! The Aerospace technology giantBoeing is celebrating their centennial or 100-year anniversary in 2016. A campaign was launched in late 2015 along with a 30-second advertisement that debuted in early 2016 with the title You just wait. It features interplanetary spacecraft, solar energy technology, colonies on Mars, and claims to have taken the world “across the universe and beyond.” For those who may not be aware, the narrative presented in the commercial sounds glaringly similar to the testimony of secret space program (SSP) insider and whistleblower Corey Goode. The researcher, writer, and presenter David Wilcock also brings forth information that lends credence to this narrative, but there are many others. 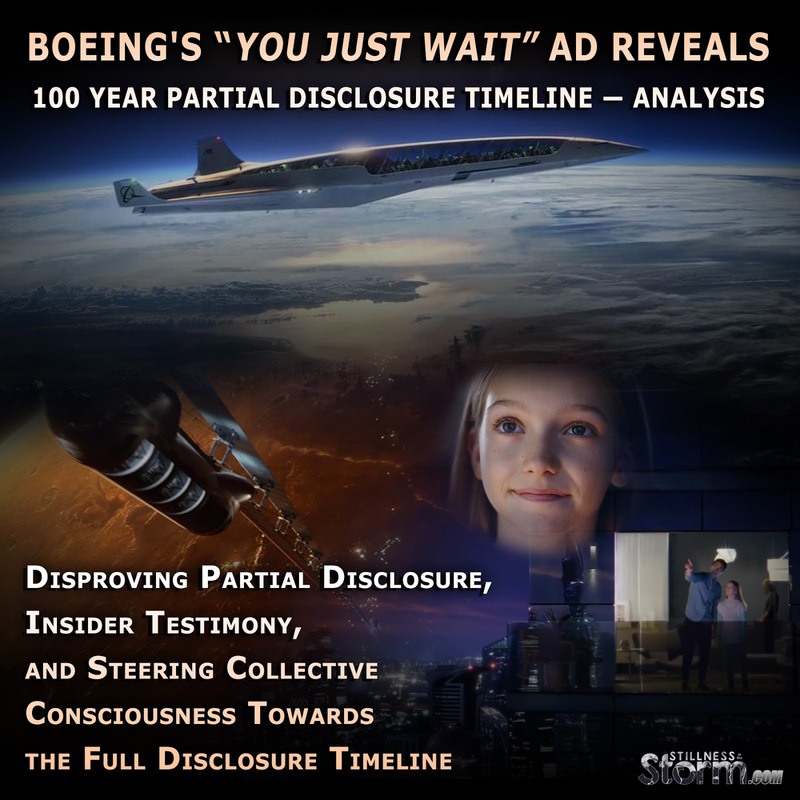 The following article provides an overview of the insider testimony that correlates with the Boeing advertisement as well as the partial disclosure agenda currently rolling out to the public. In addition, an analysis of the ad and its subtle influencing methods will be conducted suggesting that it is an effort to steer the collective consciousness of humanity into accepting a limited disclosure scenario.Goode became aware of this deceptive disclosure effort as a result of his contacts in the SSP Alliance and is doing everything he can to alert the public. This is because an alliance within the higher level SSP—whom he is connected to—is seeking full disclosure. This full disclosure scenario, as proposed by the SSP Alliance, and their allies, calls for a complete end to slavery in all its forms (the Babylonian money-magic system), the release of all hidden information and suppressed technology, and a truth and reconciliation style tribunal of the Cabal and their underlings. If the SSP Alliance gets their way, so much of the truth will be made public that attempting to institute a new form of slavery will be almost impossible. Clearly, the criminal syndicates operating on Earth and beyond want to do everything they can to stop this effort, including releasing advertisements that entice the public to accept a partial disclosure narrative. But for those unaware of the insidious machinations of the Cabal (also known as the Illuminati, the New World Order, and so on)—those in power who have shaped the planet into a glorified form of modern day feudalism or slavery—the partial disclosure initiative will sound like a saving grace; because that’s what it’s designed to do. It’s designed to pacify the people who are the most aware while selling the unaware masses on a space-age style form of neo-enslavement. Under this limited disclosure agenda, only some of the truth will be revealed to the public and even that will take 100 years. According to Goode and his contacts in the SSP Alliance, the Cabal-run groups, and their allies, have brokered an agreement with certain Earth-based alliances to begin this partial disclosure effort. Apparently, this agreement was made in late 2015 and bolstered in 2016, but this plan was most likely developed much earlier. Whether or not the “well-known public servant” was sacrificed remains unclear. On the other hand, partial disclosure efforts have continued to pour out into the public domain. These take on the form of entertainment media, such as films, television shows, and video games, as well as innuendo from science related propaganda outlets, like NASA. For example, the initial discovery of exoplanets several years ago was a complete paradigm shift in the way science deals with the search for extraterrestrial life. Prior to this development, it was widely accepted in academia that humanity would most likely never find extraterrestrials—at least not anytime soon. Anyone searching for ETs with seriousness was quietly ridiculed and maligned—but not anymore. This is in part due to the discoveries of the Kepler Mission focusing on the search for habitable exoplanets. To exemplify this shift, consider that the Drake Equation was “updated” recently. This mathematical model from the mid 20th century was a boon for those unwilling to acknowledge the possibility of life evolving elsewhere in the cosmos. In its original form, the equation asserted that it was a statistical certainty that life doesn’t exist in the cosmos. But for those in the know, clearly, this isn’t true. Earlier this year, a team of scientists proposed changes that completely shifted how we look at the universe. And it just so happens that in the partial disclosure plan put forth by the Cabal, a central part is the admission of ancient ruins from ET cultures being found throughout the solar system and beyond. This item of information was supplied by Goode and Wilcock during their weekly online series Cosmic Disclosure. To be clear, Goode and other insiders have confirmed that it is true ancient ruins have been found all throughout the solar system and local star cluster. However, there are also countless extraterrestrial civilizations that have made contact with humanity in the relatively short time the SSP has been active, within the past 100 years. Goode states that there are at 40 to 60 extraterrestrial groups with longstanding outposts within the solar system, which have maintained a Super Federation alliance to ensure their agendas come to fruition. This federation has been actively conducting 22 genetic, social, and spiritual experiments on Earth for thousands of years. The point being that the partial disclosure narrative only reveals extinct ancient ET cultures and makes no mention of contemporaneous non-terrestrial activities—a half-truth with the power to espouse many false impressions in the minds of the unaware masses. 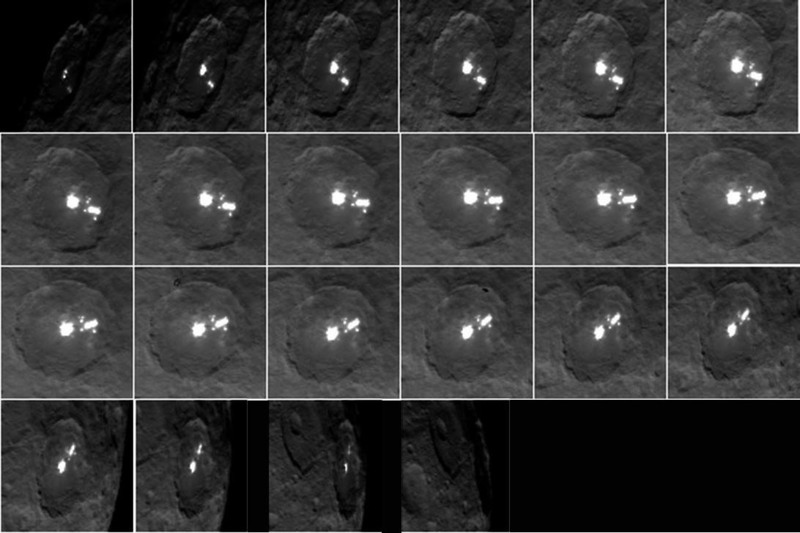 The Ceres bright spot is another point of soft disclosure laying the foundations for a limited disclosure event, as presented by David Wilcock. The planetoid captivated extraterrestrial enthusiasts when, in 2015, the Dawn spacecraft captured images of incredibly bright objects in one of the craters on the desolate surface. Image Source. 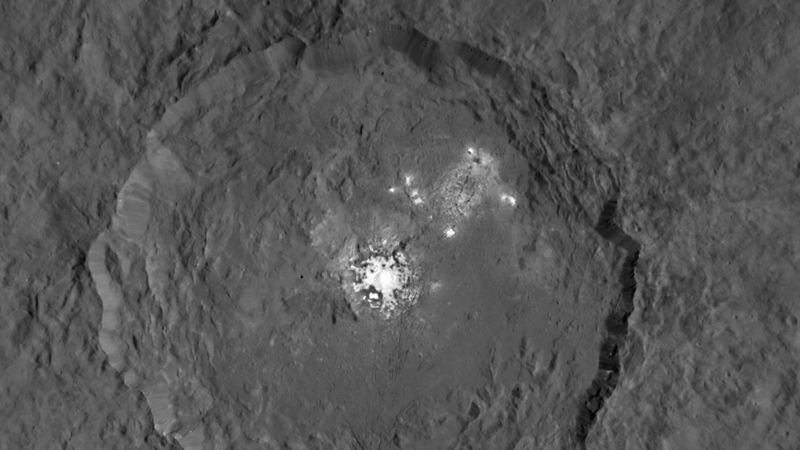 Ceres Bright Spot. Image Source. Ceres Bright Spot seen as it moves from the sun-facing side. Here the luminosity doesn’t appear to be reduced as one would expect if it was reflecting sunlight off a surface, leading some to conclude these lights are artificial in nature. Although mainstream science tells us these bright spots are nothing but reflective ice fields, certain analysts have suggested that the luminosity is too great to be a natural reflection. The discovery of thousands of exoplanets, the revising of the Drake Equation, and the Ceres bright spot are each playing a part in preparing humanity for disclosure. And while these items will certainly be a part of a disclosure event, without the whole truth, it may not be the full disclosure experience many have been waiting for. These the points aloneprovide a basis for the Cabal-run media to push the limited disclosure plan, and as was mentioned earlier, involves the devulgence of ancient ruins left by ET races. Another element involves a narrative in which human beings were created from an ancient race of ET giants, known in the SSP as the progenitors or the Ancient Builder race. To be clear, these elements are a part of the story, but not the whole truth. As such, gaining an understanding of what the whole picture looks like is essential to discerning the limited disclosure effort from the complete or full one. What Will Partial Disclosure Look Like? When the big push starts—which we are in the early stages of now—it will seem like the truth has finally been revealed: decades worth of banker fraud will be exposed, war criminals will be arrested, the 9/11 conspiracy will be unveiled, UFOs will be connected to black budget government projects (USAPs), and a financial reset or debt forgiveness will take place. And for those unaware of the greater truths—especially those related to higher level SSP activity—this will seem like our prayers have finally been answered. And again, all these things will probably be part of a full disclosure event, and as such, the Cabal needs certain features to be present within the limited disclosure plan in order to gain support from the public. The limited plan calls for releasing information about lower level secret space program activityonly; nothing about the over 900 extraterrestrial groups we’ve been actively trading with; nothing about the over 60 million people who were enslaved by the programs during the Brain Drain era of the 1960’s; nothing about hundreds of thousands of people who go missing every year disappearing into highly immoral human trafficking operations with extraterrestrial races; nothing about the true power of our collective consciousness and its ability to affect reality; nothing about the organic evolution timeline and the complete fraud of transhumanism; nothing about the malevolent AI (Artificial Intelligence) that has infected the minds of so many high ranking societal figures, and so on. In short, the partial disclosure agenda is nothing more than a softer and more palatable form of mass mind control and slavery. It is an attempt by despotic elites to regain control over the human population, which is presently showing signs of an organic mass awakening. It will do this by enticing the unawakened and unaware masses to accept a technological leap in society, which will seem like it imparts more freedoms but in reality, causes greater dependency and reliance on the would-be masters of this world. One of the justifications for this plan, on the part of some of these Earth-based alliance groups pushing for partial disclosure, is that because the West had their 100 years of financial dominance (the Federal Reserve System), the East wants their turn to be masters of humanity. But slavery is still slavery, even if the shackles are a little less heavy. Does Voting Really Make a Difference? I was walking with my neighbor and her teenage son this morning and it was interesting to see their differing opinions on voting. The teenage son’s opinion is that voting doesn’t work, the system is flawed and corrupt. The mother is holding out that voting still has power. After having this conversation on voting, I come across this post on Collective Evolution. It very clearly states the many reasons why voting is not the answer anymore. As a world, are we thriving at our best? The question may seem comical. Of course it depends how you look at it. There is our day-to-day happiness, living in the moment, and feeling fulfilled by our home, our job, our loved ones, our environment. Then there is the deep-rooted issue of feeling like we are not thriving as a world, because there are obstacles we simply cannot overcome. I was sitting on the beach the other day, staring out at the vast ocean, and asked myself, do I feel free? At first I thought, well, yes. Despite government control, in my own little world, I am happy, and do not feel chained to an idea, a person, and so on. But then I wondered if perhaps I am just brainwashed. The financial elite who govern us do so out of greed, not for a better world, a better America, but for heavy pockets and incredible power. A study conducted by two political science professors suggests ordinary Americans have virtually no impact on the making of national policy. So who runs America? Rich individuals and business-controlled interest groups. In the throes of political upheaval, there is so much discussion about what should have been, could have been, and what will be. It is a confusing and controversial time in the U.S. When voters put Barack Obama in office, they anticipated big changes. Obama sought to defend civil liberties and privacy, yet many question how Obama’s version of national security is that much different than the one he inherited. “His 2007 speech has become a cautionary tale of the gulf between powerful campaign rhetoric and reality,” noted CNN. So while the president lets down the country, and we are left to believe in his wrongdoings, the reality is, he couldn’t have pulled through in the first place. “Guantanamo Bay remains open. The NSA has, if anything, become more aggressive in monitoring Americans. Drone strikes have escalated. Most recently it was reported that the same president who won a Nobel Prize in part for promoting nuclear disarmament is spending up to $1 trillion modernizing and revitalizing America’s nuclear weapons,” notes a 2014 article from The Boston Globe. This isn’t really a discussion about what was accomplished or not with Obama in office, however. That’s just a small part of a much bigger issue. Tufts University political scientist Michael J. Glennon backs up this idea that Obama couldn’t have changed policies much even if he tried. As Americans, we are told we can steer our own government by electing new officials, but the truth of the matter is we are victims of a “double government.” There’s the one we elect, and then there’s the one behind it, in which a disturbing amount of policy goes unchecked. For instance, Glennon points outs out Obama and his team’s shock and dismay upon discovering that the military gave them only two options for the war in Afghanistan once he arrived in office: The United States could add more troops, or they could add a lot more troops. So while Obama fans became angered to find that he had opted for adding 30,000 more troops, the reality is, he had no choice. It’s hard to swallow the pill that a “secret government” truly governs us, making us mere puppets in their play, but there are far too many examples of such a theory for it to be overlooked. Take a look at the National Security Agency (NSA) for instance. Founded in 1952, its existence waskept secret from the public until the mid 1960s. And even more disturbing is the National Reconnaissance Office. Founded in 1960, it remained a secret for 30 years before it was officially revealed by Edward Snowden a few years ago. And in times like today, with WikiLeaks blowing the lid on the many lies within the U.S. government, it’s hard not to feel even more tricked, even more out of control of our lives than ever before. Bernie Sanders said from the beginning that he was essentially being bullied by the DNC, yet it wasn’t until the first “Hillary Leaks” that we have come to find out just how real and serious, and, more than anything, how rigged the political game really is. It’s not about fairness. It’s about money, and so a hidden agenda sweeps us all off our feet and continues to take control. So the question remains, and is more pertinent now than ever before: How can we truly believe we are living in a “democracy” when presidents don’t even have enough power to significantly change anything? Are we really free? Or have we been conditioned to believe we are? Corporations and mainstream media have us glued to our TV screens, searching for answers, searching for promises that can never be kept. Living as the puppets we are, we’ve become distracted from the truth, our attention diverted to what we want to hear as opposed to what we need to hear. Go ahead and argue over who should be president, and go ahead and be angry or excited over the president that does get elected. But just know that you are wasting your breath on this very surface idea. If we want real change, we have to look within, we have to look to ourselves. We can’t keep putting our faith and tasking our ‘leaders’ with the task of changing this world. The first step is awareness, and it’s happening faster and faster. More people are starting to become aware of what’s really happening on our planet. The next step is action, and we are just starting as a collective to take various action steps. The future really is brighter than ever, it’s always darkest before the dawn.